St. Basil’s “Animal Prayers” are a “Hoax” (Part Six). To read the earlier portions of this work see Part One (here), Part Two (here), Part Three (here), Part Four (here), and Part Five (here). N.B. 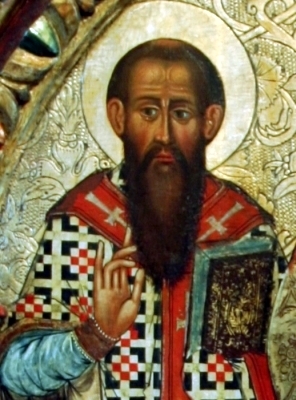 The following text in this blog-post St. Basil’s “Animal Prayers” are a “Hoax” Part Six is Copyright © 2012 Philip Johnson. The general claim has been that both prayers are from the fourth-century monk and bishop St. Basil, and that the prayers appear in either his collected writings or are in The Liturgy of St. Basil. The prayers however are not found in the Liturgy or in the collected writings of St. Basil. Too many authors have been engaged in a circular process of cross-quoting each other for the texts of the prayers and failed to check if the prayers are in any primary sources. The net effect is that a literary house of cards has been erected because the known works of St. Basil do not contain either prayer. The texts of the two prayers have been published in several books, magazine articles and blogs but the actual texts contain significant verbal variations. It is difficult to ascertain “which version” is the original. In effect, the more the prayers are transcribed the more prone they are to being edited and changed without any primary source manuscripts to justify such verbal alterations. Both prayers contain ideas and vocabulary that are anomalous for writings from the fourth century AD, and instead contain enough verbal clues to indicate they are of modern-day origin. The top-heavy pile of quotations of both prayers ends up as another example of how easy it is for a literary “hoax”, or modern-day apocryphal writing, to circulate and be accepted as genuine at face-value. It is now time to identify the sources for these prayers, and to point out that they emerged not from the fourth century but during the second decade of the twentieth century. 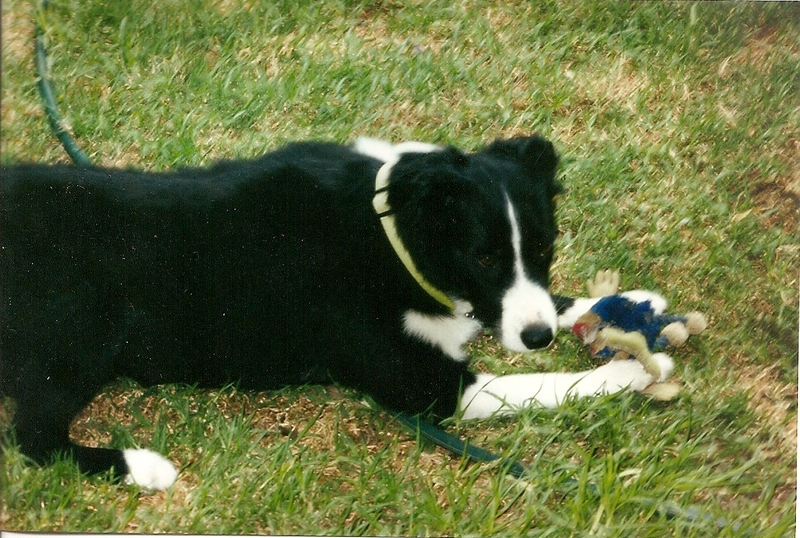 Nelson and toy. Photo Copyright © 2012 Philip Johnson. As there are two prayers with different origins, I will discuss them separately. The conclusions reached here are tentative and may be open to revision in light of any further relevant evidence. However, there is enough data to hand to confirm that the prayers are not from the fourth century Church. So far as I have been able to determine, the claim that the Liturgy of St. 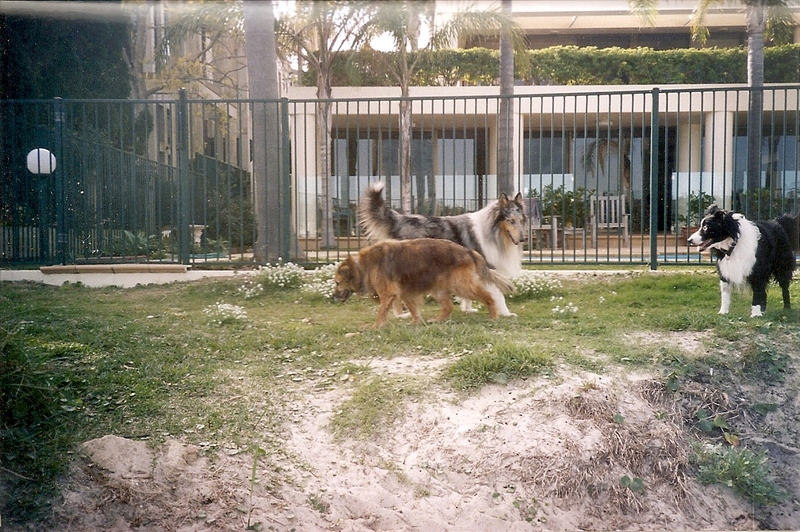 Basil contains the prayer “Our Brothers the Animals” began to circulate in the early 1960s. 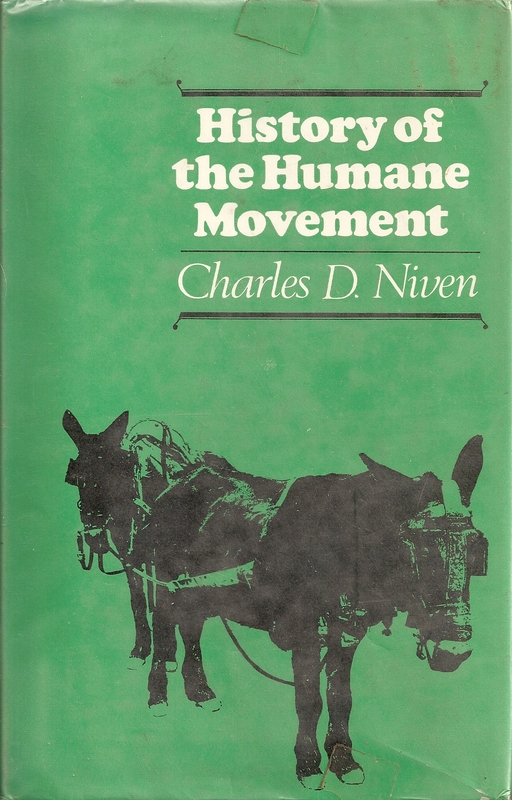 Charles D. Niven (1897-1968) wrote a very popular chronicle History of the Humane Movement (New York: Transatlantic Arts, 1967). Niven was a physicist and a Fellow of the Royal Society of Canada, and was involved in organising the Eastern Ontario SPCA. His epitaph on his grave states “I know that my redeemer liveth.” His father, also named Charles Niven (1845-1923), served as Professor of Natural Philosophy at the University of Aberdeen. Niven’s source is: UFAW Theological Bulletin, No. 2 (1962), p. 3. Arwen. Photo Copyright © 2012 Philip Johnson. 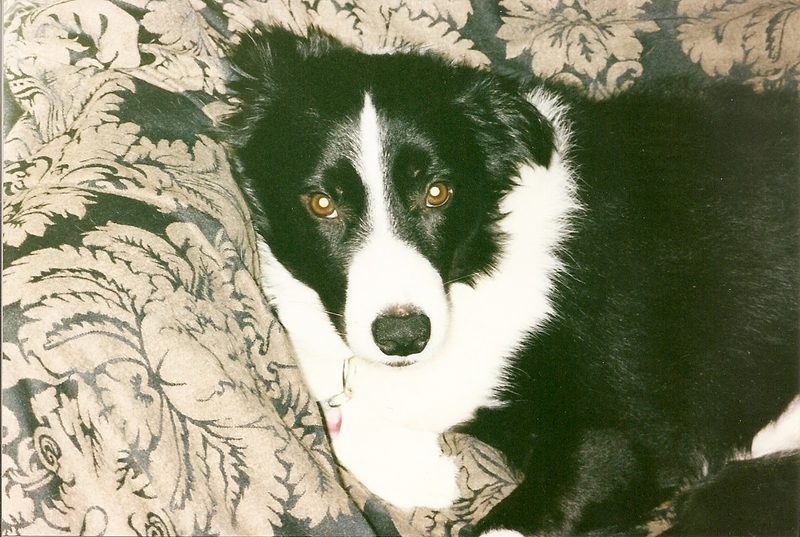 Niven brought to his book the commendable energy generated out of his background knowledge in science, his Christian faith, and his practical activism in the SPCA. 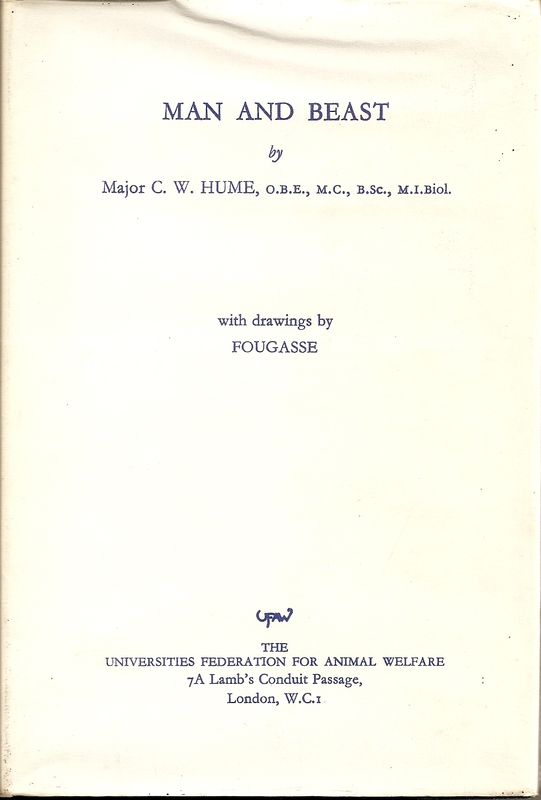 His book, which was one of several popular chronicles about the history of human attitudes toward animals produced in the 1960s, had a wide reading audience as it circulated on both sides of the Atlantic. Niven’s remarks point us in the direction of where the original claim about the prayer and the Liturgy of St. Basil comes from. Niven prefaces the quotation by saying, “The Reverend C. G. Early, Andrha Pradesh, India, found this prayer in the Liturgy of St. Basil”. Niven drew this information from an article by C. W. Hume published in 1962. Penelope, Nelson and new-found friend. Photo Copyright © 2012 Philip Johnson. Richard P. Haynes, Animal Welfare: Competing Conceptions and Their Ethical Implications (Springer, Dordrecht, Heidelberg, London, New York: Springer Science and Business Media B. V. 2010). 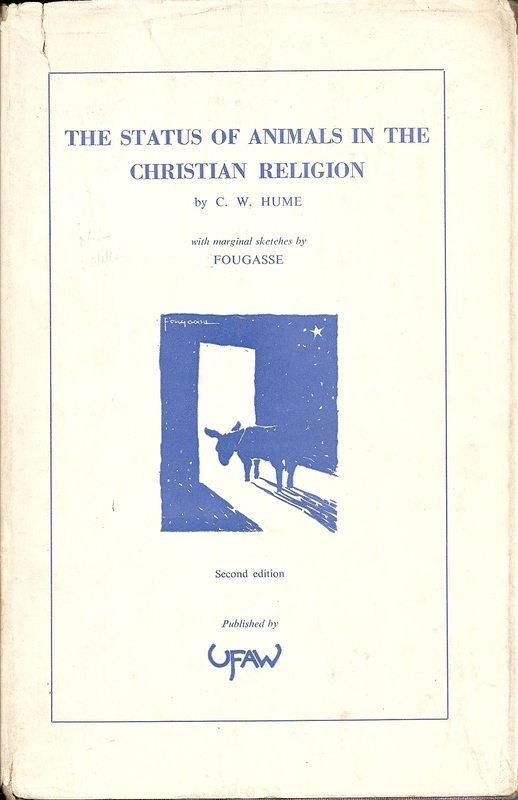 It is an article by Hume that appears to be the initial publication to claim that “Our Brothers the Animals” is found in the Liturgy of St. Basil. 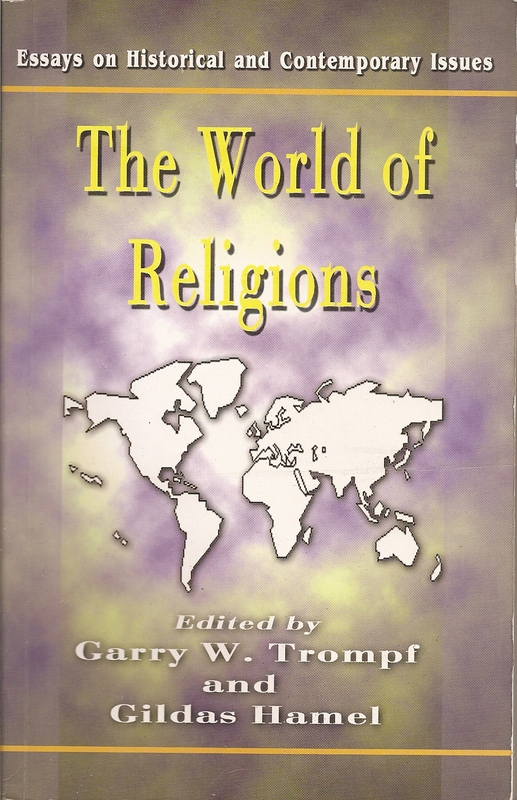 I have, so far, not been able to obtain access to Hume’s article to check it first-hand (UFAW Theological Bulletin, No. 2 (1962), p. 3). However, the article in question is cited by at least four authors: Charles D. Niven (as just noted above), Rod Preece, Richard Ryder, Helena Röcklinsberg (the latter three have been discussed in previous posts). Of these four authors it is only Niven who provides readers with the clue as to who first called attention to the prayer and the Liturgy of St. Basil. The key figure, whom Hume undoubtedly relied on, is Reverend C. G. Early. I surmise that either a well-meaning friend passed on Early’s claim to Hume or that Hume had contact with Early. Either way (if my reading of Niven’s passage is right), Hume seems to have accepted the claim at face-value. At the present time, I have not been able to locate any original writing by Rev Early. What I can report is that Rev. Early served as a Methodist missionary-pastor in Andrha Pradesh state in India during the mid-twentieth century. How he came to claim that the prayer is found in the Liturgy remains a mystery. Though it is quite likely that it came to him as a printed excerpt that was disconnected from the original source which is Walter Rauschenbusch. 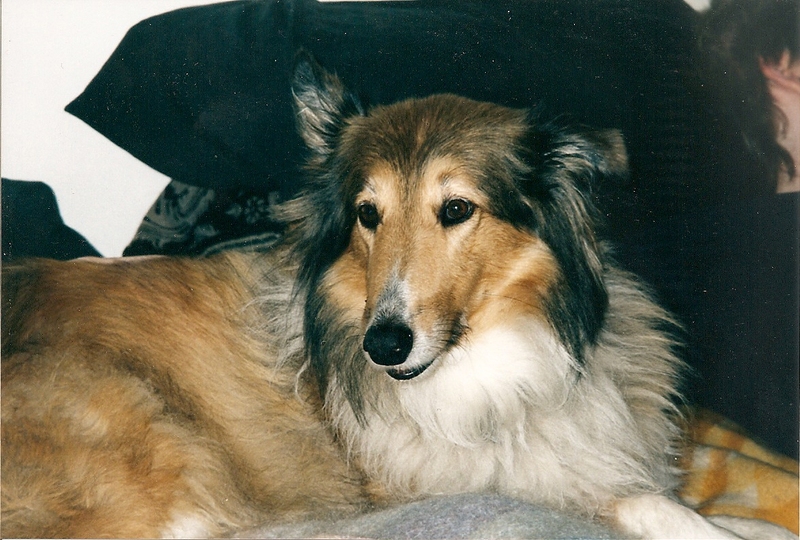 Penelope (1992-2007). Photo Copyright © 2012 Philip Johnson. Walter Rauschenbusch (1861-1918) was born in Rochester, New York the son of a German Lutheran missionary who joined the Baptists. During the mid-1880s Rauschenbusch served as the pastor of a German-Baptist congregation in an impoverished part of New York city. He also became a lecturer at Rochester Theological Seminary. Rauschenbusch is best remembered for being a pivotal figure in the liberal theological movement called the “Social Gospel”. Via his daughter Winifred, Rauschenbusch is the maternal grandfather of the philosopher Richard Rorty. One thing that has become “forgotten” about Rauschenbusch is that he composed a book of his own prayers, Prayers of the Social Awakening (Boston & Chicago: Pilgrim Press, 1910) [now available to read via the Internet Archive, click here]. Permission is gladly given to reprint single prayers in newspapers, church programs, and similar publications, provided no change is made in the wording except by omission or abbreviation. I should be glad if proper acknowledgement were made in every case so that the attention of others may be called to this little book and its usefulness increased. Nelson. Photo Copyright © 2012 Philip Johnson. ” O God , we thank thee for this universe, our great home; for its vastness and its riches, and for the manifoldness of the life which teems upon it and of which we are part. We praise thee for the arching sky and the blessed winds, for the driving clouds and the constellations on high. We praise thee for the salt sea and the running water, for the everlasting hills, for the trees, for the grass under our feet. We thank thee for our senses by which we can see the splendor of the morning, and hear the jubilant songs of love, and smell the breath of springtime. Grant us, we pray thee, a heart wide open to all this joy and beauty, and save our souls from being so steeped in care or so darkened by passion that we pass heedless and unseeing when even the thornbush by the wayside is aflame with the glory of God. Enlarge within us the sense of fellowship with all the living things, our little brothers, to whom thou hast given the earth as their home in common with us. We remember with shame that in the past we have exercised the high dominion of man with ruthless cruelty, so that the voice of the Earth, which should have gone up to thee in song, has been a groan of travail. May we realize that they live, not for us alone, but for themselves and for thee, and that they love the sweetness of life even as we, and serve thee in their place better than we in ours. It is the second paragraph of Rauschenbusch’s prayer that has been uplifted, decontextualized, and refashioned into the variant versions of the prayer called “Our Brothers the Animals”. The Emperor’s New Clothes of literary claims about this prayer has now been exposed as being a twentieth century prayer. It is high time then that the credit for the prayer be given to its original author Walter Rauschenbusch. Activists, ethicists, philosophers and theologians alike must call to a halt the juggernaut of claims that the prayer is from St. Basil. 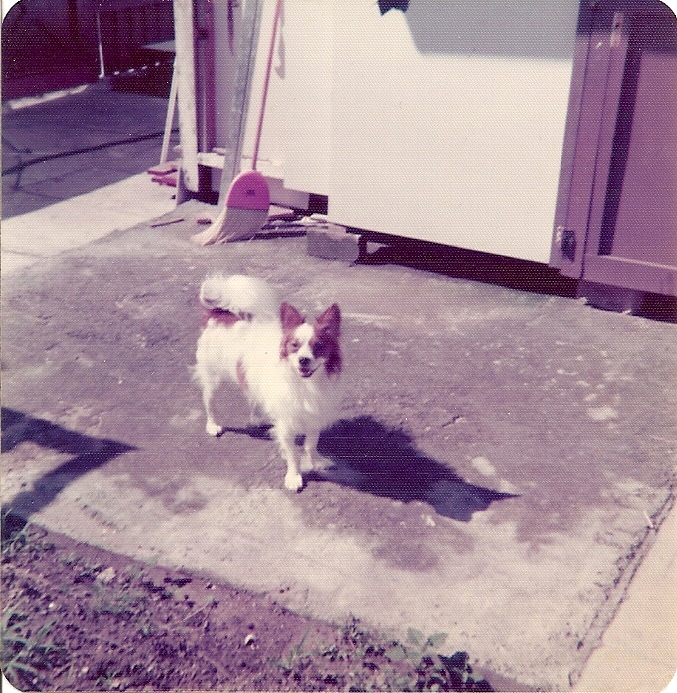 Scamp the papillion aged 9 months.Photo Copyright © 2012 Philip Johnson. For those, O Lord, the humble beasts, that bear with us the burden and heat of day, and offer their guileless lives for the well-being of mankind; and for the wild creatures, whom Thou hast made wise, strong, and beautiful, we supplicate for them Thy great tenderness of heart, for Thou hast promised to save both man and beast, and great is Thy loving kindness, O Master, Saviour of the world. We pray thee, O Lord, for the humble beasts who bear with us the burden and heat of the day, giving their lives for the well-being of their countries; and for the wild creatures, whom thou hast made wise, strong and beautiful; We supplicate for them thy great tenderness of heart, for thou hast promised to save both man and beast, and great is thy loving-kindness, O Master, thou Saviour of the world. For those, O Lord, the humble beasts, that bear with us the burden and heat of the day, and offer their guileless lives for the well-being of humankind; and for the wild creatures whom Thou hast made wise, strong, and beautiful we supplicate for them Thy great tenderness of heart for Thou hast promised to save both man and beast and great is Thy loving kindness, O Master, Saviour of the world. One of the striking differences is that one prayer says they offer their lives “for their countries”, another “for the well-being of humankind”, and another for “mankind”. The prayer which uses the words “for their countries” provides a strong textual hint that points to a modern-day source rather than to St. Basil. 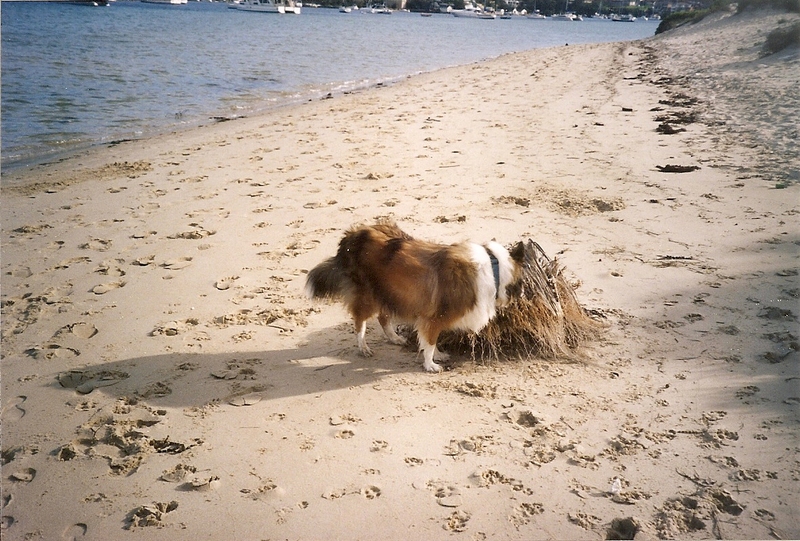 Arwen on the beach. Photo Copyright © 2012 Philip Johnson. This prayer about “their guileless lives” takes us back to World War One. The “original” English-language source appears to be in Guy Vernon Smith, The Bishop of London’s Visit to the Front (London: Longmans and Green, 1915). The book profiles how Bishop Arthur Foley Winnington Ingram visited the western front in Easter week in 1915. The Bishop did not write the book but wrote a preface for it. The Bishop felt that the special character of his Mission would be emphasised if a different form of service were used to that which is customary at church parades, and he selected from among the many beautiful prayers which are suitable for use in time of war a Litany adapted from the Russian Liturgy. These prayers were very much appreciated by the soldiers, not only for their own sake, but because they seemed to serve as a link to bind us more closely to our Allies in the East. In an appendix to the book Smith reproduces in full (pages 91-94) a pamphlet entitled “Good Friday and Easter Day: Thoughts and Prayers for Soldiers at the Front by the Bishop of London”. A further heading is supplied: “From the Liturgy of the Russian Church. Adapted by H.M.M.H”. And for those also O Lord the humble beasts, who bear with us the burden and heat of the day, and whose guileless lives are offered for the well-being of their countries, we supplicate Thy great tenderness of heart, for Thou Lord, shalt save both man and beast, and great is Thy loving-kindness, O Master, Saviour of the world. Notice that the prayers in the litany are “adapted” from what is vaguely called the Russian Liturgy. It not stated that the prayers come from the Liturgy of St. Basil as used in the Russian Orthodox Church. 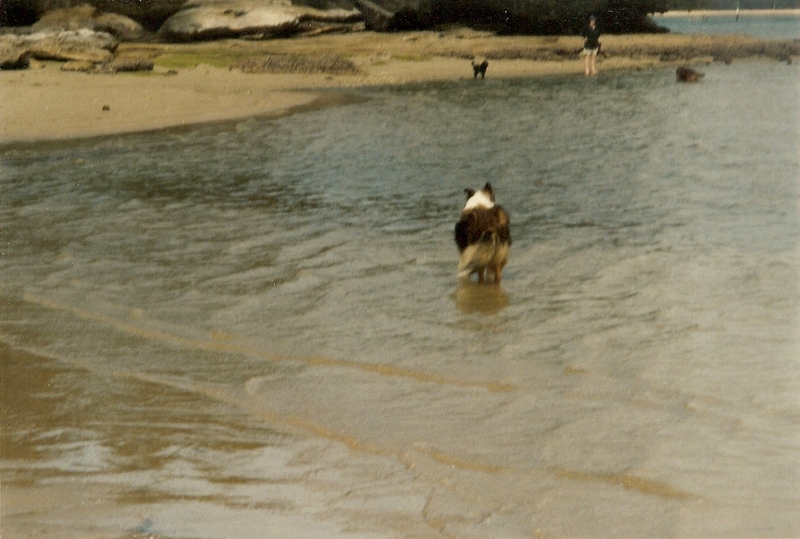 Arwen wading in the water. Photo Copyright © 2012 Philip Johnson. The largest package of all contained the “souvenirs”, although we never thought of them by that name at first. The Bishop had written earlier in the year some short prayers and meditations for use by soldiers at the front during Holy Week and Easter. When it was decided that he should go out in person he felt it to be very suitable that he should give them to the men. Some friends very kindly gave the Bishop ten thousand copies, and we could easily have disposed of more than twice as many, so popular were the little booklets and so eagerly were they sought for by the men who attended the services. There was always a demand for them … these booklets were immediately christened “The Bishop’s Souvenirs”. Smith goes on to say that many soldiers posted the booklets home to their families. 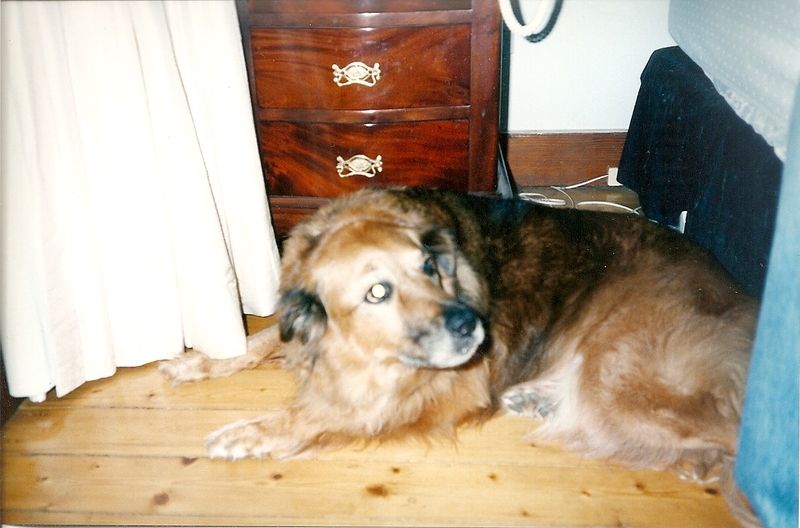 The circulation of those booklets in England and in other nations (Canada, Australia, New Zealand etc) may very well have given added impetus for the animal invocation being uplifted and recirculated out of context in later years. Lethbridge supplies a footnote: “Vide English translation of Russian Litany, issued by the O. A. B. G., Bristol.” Lethbridge’s footnote source tallies with that in Guy Vernon Smith’s book. “For these also, O Lord, the humble beasts, who bear with us the burden and the heat of the day, and offer their guileless lives for the well-being of their countries we supplicate Thy great tenderness of heart. Notice that the material found in Smith’s and Lethbridge’s respective books undergoes a shift in the periodicals. There is firstly the curious association of St. Francis with Russia in the minds of the writers in the periodicals. When the periodicals were published the Russian Orthodox Church was the official church of Tsarist Russia (until being toppled by the 1917 Revolution). St Francis of course is a Roman Catholic saint. Presumably, for the journalists and other writers in the periodicals the Russian Orthodox Church was a “terra incognito” — an unknown land. For St. Francis to be a great influence in Tsarist Russia was probably presupposed without any reflection whatsoever. Why did the authors think the prayer must originate with St. Francis? It is worth noting that St. Francis of Assisi had largely been forgotten (even among the Franciscans) until a late nineteenth century renaissance began. The renaissance of St. Francis owes an enormous (although not exclusive) debt to the work of the French Huguenot pastor (i.e. a Protestant) Charles Paul Marie Sabatier (1858-1928). Sabatier’s book Life of St. Francis of Assisi (first published in French in 1893), reinterpreted and reimagined the saint’s life in a romantic nostalgic way that suited the late nineteenth century mindset. Thus St. Francis’ experience of the stigmata and some of his miracles disappear off the surface or become relegated to the context of the “fantastic” (hence not able to be believed as something that happened). Sabatier offered a message about having a compassionate practical theology and repositioned Francis’ sanctity into a palatable form that would suit both Protestants (with St. Francis turned into a quasi-Protestant opposed to Rome) and the modern sceptical mindset about miracles. Ever since Sabatier wrote, subsequent portraits of St. Francis reinterpret him in all manner of speaking — as a nature-lover (almost unique in the annals of church history, some might say), as a liberal democrat, as a secular saint, as an evangelical Protestant role model, and so on. [For more discussion about the modern romantic portraits of St. Francis see Eric Sharpe, “The Secularization of Sanctity: the Case and Example of Francis of Assisi” in The World of Religions: Essays on Historical and Contemporary Issues, ed. Garry W. Trompf & Gildas Hamel (Delhi: ISPCK, 2001), pp. 287-308; also Roger D. Sorrell, St. Francis of Assisi and Nature: Tradition and Innovation in Western Christian Attitudes toward the Environment (New York & Oxford: Oxford University Press, 1988)]. In a smaller way, the romanticised ascribing of these animal prayers to St. Basil and to the fourth century Eastern Orthodox Church liturgy has some uncanny resemblances to the processes in which St. Francis has been reimagined in modern times. St. Basil did have a theological view of animals but these prayers are not connected to it. Instead of letting St. Francis be who he is, and St. Basil to be who is, our current anxieties about nature and animals plays a big part in looking hither and yon for examples from earlier times to inspire us. To grant an ancient pedigree to the prayers probably says a lot about how “captive” Christians have become today to the polemical agenda set in the late 1960s by Lynn Townsend White about ecology and then in the 1970s by Peter Singer and Richard Ryder about animal ethics. The impressions that White and Singer have formed about what they read into the history of Christianity may tell us more about the attitudes of these men than that their words actually explains what Christians said and did in the past. Too much has been conceded by some Christians to their critics who allege the Church is the fountainhead for many negative attitudes toward animals and the natural world. Likewise, instead of developing an ethic and theology that is robustly conceived and shaped within a rich biblical, historical and theological framework, there are too many Christians with unnecessarily bowed and chastened heads standing in the presence of these critics. The history of Christianity concerning animals (as in other topics also) is complex and not reducible down to an old cowboy film with good guys wearing white hats riding white horses and bad guys wearing black hats riding black horses. Even with several scholarly writings about animals and history in the Christian era not all of the sources that are found within Christianity have been “recovered” and incorporated into the historian’s narratives. Some of the material casts doubt on the negative stereotype erected in the polemics of some critics. Besides the ignored evidence, one must also have a dose of honesty about our present agendas versus an investigation of the past. An issue that seems patently obvious to us in today’s times would not necessarily have been the case in past epochs. Like it or not, we cannot interrogate the past with the expectation that people in prior epochs should have thought like us or even that some of them actually did think like us about animals. Our industrialised abuse of animals is a peculiar phenomenon of increasing intensity ever since the mid-eighteenth century bore witness to the start of the Industrial Revolution. Our context culturally and technologically is so vastly different from the circumstances of the Renaissance, the Middle Ages, the early Church, Roman Imperial civilisation and so forth. We cannot compel the past to always answer our questions if the questions were not even posed let alone answered by people who lived in past historical and different cultural settings where, for example, battery-hen farms did not even exist. The other point about the prayer is that in the periodical the Russian Litany then becomes rebranded as “A Russian Prayer for Horses”. There had been other prayers for horses that emerged in the nineteenth century because of their visibility and the pains that they endured in horse-drawn carriages. The focus on the plight of the horse intensified through the story Black Beauty that was written by the Quaker-born invalided novelist Anna Sewell (1820-1878). So it is perhaps not surprising that the Litany was thought to be about prayers for horses. Nevertheless, while the Cossack soldiers assuredly rode horses into battle, the First World War also saw many other animals drawn into service: homing-pigeons, dogs, donkeys, pigs, sheep, and cattle. On this latter point see the work of the Presbyterian Historian and Librarian John M. Kistler, Animals in the Military: from Hannibal’s Elephants to the Dolphins of the US Navy (Santa Barbara: ABC-CLIO, 2011). The prayer though is clearly not from St. Basil, and has a distinct context for use which was devised in the midst of the First World War. I will conclude with one further post (Part Seven) summing up some lessons and reflections. This entry was posted in Animal Prayers, History, St Basil the Great, Theology and tagged Alan Lethbridge The New Russia, Animal Research Standards, Bishop Arthur Foley Winnington Ingram, Charles Niven History of the Humane Movement, Deborah Jones School of Compassion, Helena Röcklinsberg, Humane Advocate August 1917, Liturgy of St. Basil, Major C. W. Hume, O God Enlarge Within Us The Fellowship, Our Brothers the Animals, Rev C G Early, Richard Ryder, Richard Ryder Animal Revolution, Rod Preece, Rod Preece Awe for the Tiger Love for the Lamb, St. Andrews Cross 1917, St. Basil Hoax, St. Basil the Great, St. Basil's Prayer for Animals, St. Francis of Assisi, St. Francis of Assisi and animals, The Bishop of London's Visit to the Front, The Earth is the Lord's St. Basil, Their Guileless Lives, UFAW Theological Bulletin, Walter Rauschenbusch, Walter Rauschenbusch Prayers of the Social Awakening by thecrossisnotenough. Bookmark the permalink. This series of posts is a fascinating read. I can’t imagine how much work must have gone into it. Thank you for sharing it! As someone who has attributed this poem to St. Basil under the impression that it was simply public knowledge, I am very grateful indeed to have read this post and I will do my part to get this information into wider circulation. Have you considered submitting a condensed version of this research to a venue such as, for instance, the Journal of Animal Ethics? I would be grateful to have the opportunity to correspond further, but I couldn’t find an email contact. Thanks again for a terrific read! I am glad that you have found this helpful. I appreciate your encouraging remarks. Your suggestion about a condensed essay in a periodical is splendid. Some of this material is ear-marked for inclusion in one of my forthcoming books. Wow, I really can’t thank you enough for all the digging you’ve done! I’ve recently started exploring whether veganism and Catholicism mesh well together theoretically and I am so thankful to have found your site. I’m rather astonished that the Church hasn’t actually verified all of the saints prayers that are out there. Who knows how many of them are wrongly attributed! Thank you Amy for taking time to read the blog and I am delighted that you find it helpful. On the topic of vegan diet and theology, you might find it stimulating to read David Grumett and Rachel Myers, Theology on the Menu: Asceticism, Meat and Christian Diet London & New York: Routledge, 2010); and, Richard Alan Young, Is God A Vegetarian? (Chicago: Open Court, 1999). Both books may provide “food for thought” about reconsidering a meat-based diet. Vegan thought seems to originate in the religious worldview of the Jains of India. While the origins of it does not entail that being a vegan is logically incompatible with being a Catholic, it is wise to be discerning about the justification of adopting vegan living. That is, do you adopt a vegan way of living because you can see it theologically justified by reference to the Bible and the heritage of Christian thought? Or would you be adopting a vegan way because of convictions arising from embracing Jain beliefs which might after critical reflection be at odds with Catholic thought? I know some Protestants who have decided to be vegan in diet and they have wrestled with the issue in theological reflections before deciding to be vegan. They have not decided to be vegan based on Jain thought. I suggest that the Grumett & Myers, and Young books might be helpful primers for thinking about the wider background questions that shape our thinking about adopting an ethically-informed choice about what we eat. Keep an eye out for inexpensive copies of these books (or e-versions). Even though I have identified Richard Young’s book as being one among many that reproduce the St Basil prayers, that lapse in solid documentation does not negate his entire discussion about adopting a vegetarian diet. Many blessings! I will definitely look into your suggestions! You should look into getting this published. The prayer was just recently published as Basil’s in Proceedings of Science and Christian Faith – I am sure they would love to know it isn’t his!